A quick post this morning sharing a woot woot! The new Christmas Edition of Australian Cardmaking, Stamping and Papercraft is now released. I have two set of Christmas cards published in the magazine. I wanted to share with you one of my cards from a set of two today. This is one of the cards using Penny Black cling stamp set called Festive Floral stamp set and Red Star stamp set for sentiment. The base of the card is acetate with the focal panel using chalkboard technique. 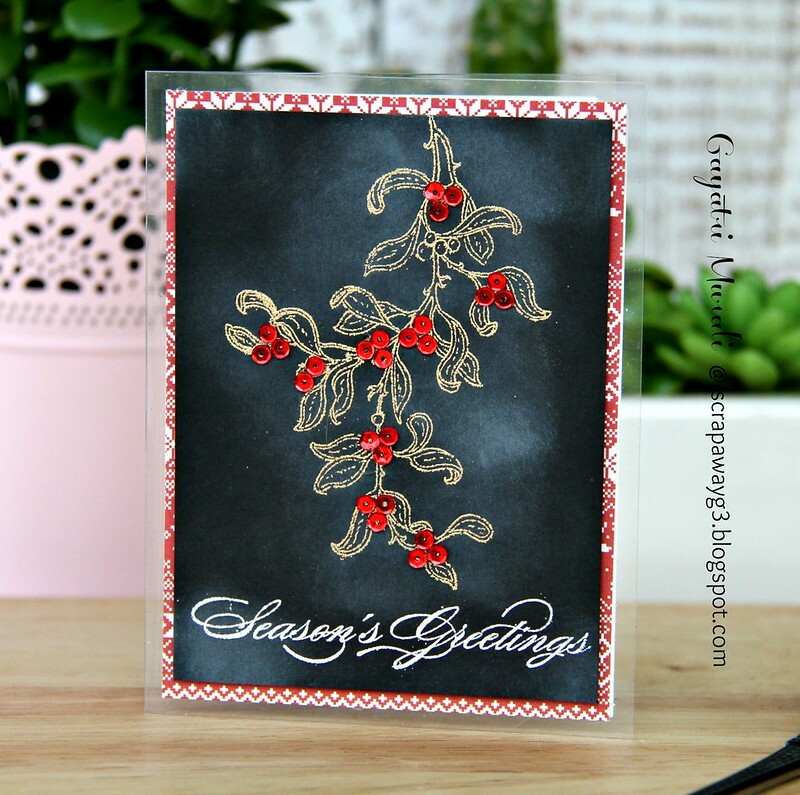 I gold embossed the focal image and embellished the berries with Pretty Pink Posh metallic red sequins. The sentiment is heat embossed in white. Then I sponged some white pigment ink randomly to give the used chalkboard effect. Simple card with an unusual base and a technique. Beautiful card. I love your creativity and this technique. Congratulations Gayatri! Love your card. That's awesome, congratulations!! Beautiful dramatic card!